Using the same Picarro technology we used to detect massive methane leaks in the Barnett Shale, researchers at Boston University and Duke University found 3,356 separate natural gas leaks. 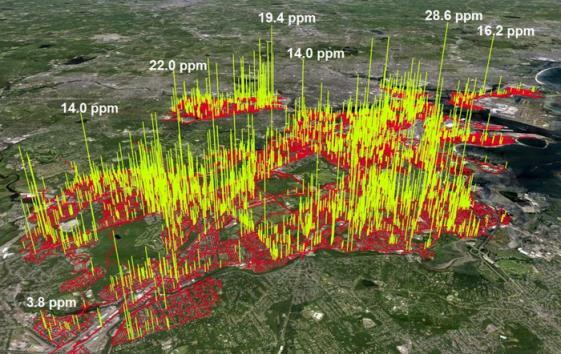 While our study was not intended to assess explosion risks, we came across six locations in Boston where gas concentrations exceeded the threshold above which explosions can occur,” BU earth and environment Professor Nathan Phillips said. Today 18 people including nine firefighterts were hurt when a qas pipeline exploded.